The first combat use of the 8-inch Parrott Rifle came during the Peninsula Campaign of 1862. When Major General George B. McClellan encountered Confederate defenses around Yorktown, he called upon his artillerists and engineers to breach those lines with a formal siege. Among the weapons deployed were two 8-inch Parrott rifles. In this operation the big Parrott rifles actually served two purposes – drive off enemy shipping and reduce the fortifications. Located near the Farinholt House, at the junction of Wormley’s Creek and the York River, Battery No. 1 initially contained five 6.4-inch (cited as 100-pdrs in the records) and one 8-inch Parrott (cited as a 200-pdr). Work began on the siege batteries in mid-April 1862. The battery, as depicted in the wartime sketch above, used front pintle barbette iron carriages. In the center of view of the photo below, in front of the mortars, soldiers lounged on four such carriages. Work details completed the battery well before the guns arrived. 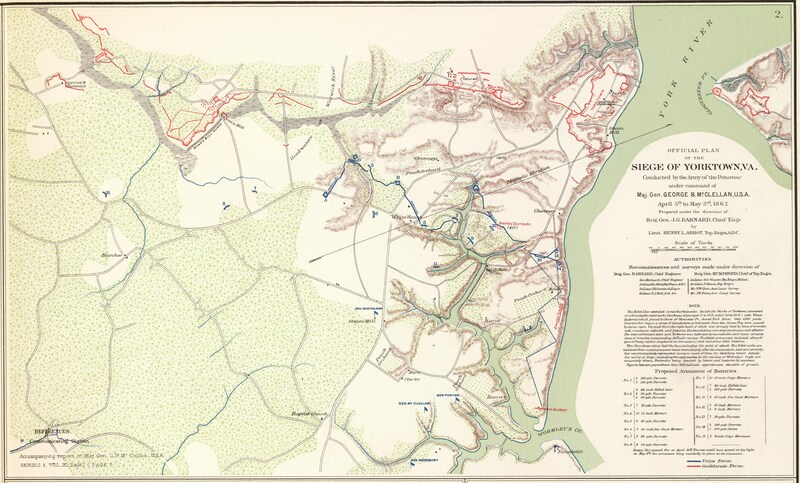 On April 28, Brigadier General John Barnard, chief engineer, ordered the layout of the battery extended to allow mounting a second 8-inch rifle. Brigadier General William Barry, chief of artillery, reported the first 8-inch rifle mounted on April 29. Major Alexander Doull, 2nd New York Artillery and ordnance officer for the siege train, oversaw the mounting of the 8-inch Parrott. Crews moved the big gun to the battery by boat, then rolled it on a skid up to the position. However, neither Barry or Barnard mentioned mounting the second 8-inch rifle. Likely the second of these big rifles was not in place before the Confederates evacuated Yorktown. From Battery No. 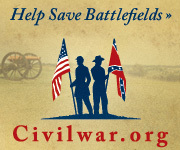 1, the range to the Confederate batteries was 3,800 yards. Range to Yorktown was 4,000 yards. The wharf at Yorktown was 4,800 yards distant. And Gloucester Point across the York River was 5,000 yards from Battery No. 1. Thus the heavy Parrotts occupied a position to best take advantage of their great range. The lone 8-inch rifle along with five 6.4-inch Parrotts in Battery No. 1 opened fire on April 30 against Confederate supply vessels at the Yorktown wharves. In the action, the 8-inch fired five bolts. Although limited in number the effect was to drive off the ships. Barry wrote, “Battery No. 1 gives us complete control of the enemy’s water batteries, wharves, and Gloucester.” Over the next two days, the big Parrotts continued to fire on Confederate shipping, although fog reduced their effectiveness. On May 3, the crews of the big Parrotts turned their attention to the Confederate bastions and water battery. The guns were ready the following day, but the Confederates had evacuated during the night. A stereo-view of from the opposite end of this line appears in another photo in the Library of Congress collection. However Major Doull noted that the wrought-iron carriages used could not sustain extended firing at high angles. He felt the best option was the use of a low carriage as designed by Robert Parrott himself for the gun. As ordnance officer, Doull also noted the siege batteries required over 17,000 projectiles and powder – all told 726 wagon loads. Such was just a small part of the massive logistic “tail” required to support a siege operation during the Civil War. With regard to the guns themselves, consider Captain Stephen Vincent Benet placed the order for the first 8-inch Parrott on March 24, 1862. Robert Parrott himself proofed the first of the type on April 5. Records indicate Parrott proofed the second of the type on May 7, although it was credited on April 24. If such tallies are correct, then the 8-inch rifle used at Battery No. 1 was registry number 1. And likely the second 8-inch intended for the battery did not arrive until the siege had ended. 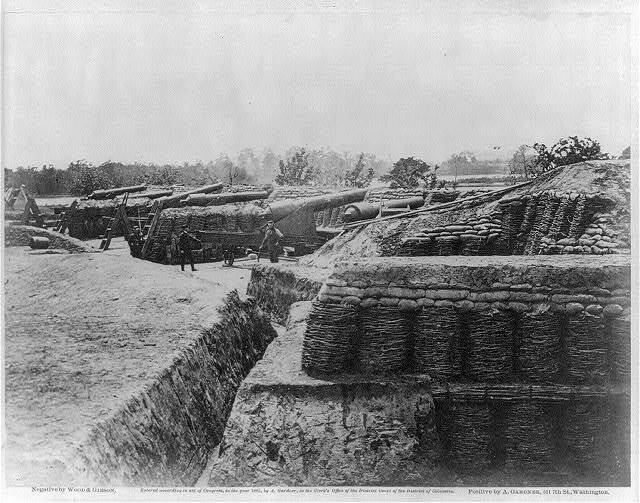 Barry’s observations, taken with the experience at Fort Pulaski (April 10-11), promoted the notion that the big rifled guns could effectively and quickly reduce fortifications. But later events would prove the assessment of the rifles a bit inflated. The failed reduction of Fort Sumter from 1863 through 1864 demonstrated the limitations of rifled artillery in the black-powder, muzzle-loading era. – Report of Brig. Gen. John G. Barnard, U.S. Army, Chief Engineer Army of the Potomac, of operations during the siege. May 6, 1862. Pages 316-337. – Reports of Brig. Gen. William F. Barry, U.S. Army, Chief of Artillery Army of the Potomac, of the siege. May 5, 1862. Pages 338-350. – Report of Maj. Alexander Doull, Second New York Artillery, Ordnance Officer of Siege Train, of the siege. Pages 354-358. Olmstead, Edwin, Wayne E. Stark, and Spencer C. Tucker. 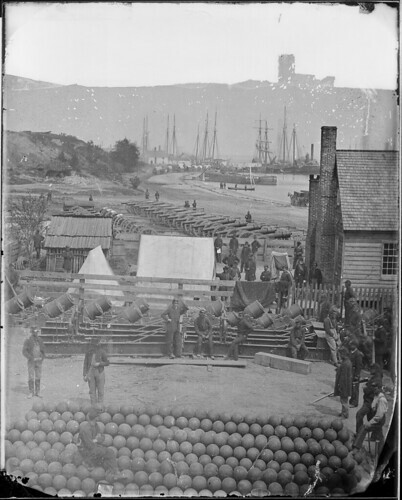 The Big Guns: Civil War Siege, Seacoast and Naval Cannon. Alexandria Bay, NY: Museum Restoration Service, 1997. Appendix C122, page 241, provides details of the 8-inch Parrott order, proof, and credit dates.